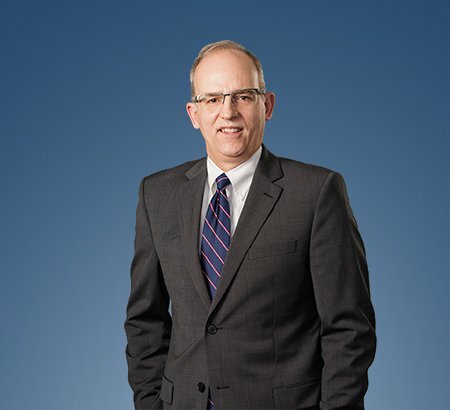 For his entire career, Steven D. Reinbolt has focused his practice on commercial real estate law, representing developers, investors, public corporations, private corporations and lending institutions. This focus provides Mr. Reinbolt a thorough understanding of the numerous and varied real estate legal issues faced by real estate clients. This experience, knowledge and familiarity with the real estate business allow Mr. Reinbolt to creatively, effectively and efficiently address his client’s real estate matters. Mr. Reinbolt is a member of Eastman & Smith. In addition to his Ohio license to practice law, Mr. Reinbolt is licensed to practice law in Michigan. A Canadian company in assembling a 150 acre site and completing its project incentives and financing for a new several hundred thousand square foot commercial greenhouse project. A publicly held Fortune 500 company, as part of its business acquisition team and with general counsel’s office to manage the acquisition of several multi-state agricultural and ethanol facilities. A publicly held Fortune 500 company in assembling and rezoning a 75 acre site for its new corporate headquarters. A national shopping center, one of the nation’s larger ethanol producers and a Big Three automaker to negotiate real estate tax abatements and tax incentive financing for their Northwest Ohio development projects. A regional hospital system in assembling an urban site to develop a new hospital campus. A large multi-national industrial joint venture in assembling a several hundred acre site and completing its project incentives and financing for a new steel minimill. A lifelong resident of Northwest Ohio, Mr. Reinbolt has been board chairman of the Maumee Valley Habitat for Humanity and a board member of Neighborhood Properties, Inc., a housing agency for the homeless. Currently, Mr. Reinbolt serves as a Trustee of the University of Toledo Foundation and as a member of the University of Toledo Foundation Real Estate Corporation. Additionally, Mr. Reinbolt is a member of the Toledo Bar Association and the Ohio State Bar Association and its Real Property Section. Since 2006, Mr. Reinbolt has been selected for inclusion in The Best Lawyers in America® in the practice area of Real Estate Law, and was named as The Best Lawyers® Toledo Real Estate Law “Lawyer of the Year” in 2014, 2017 and 2019.